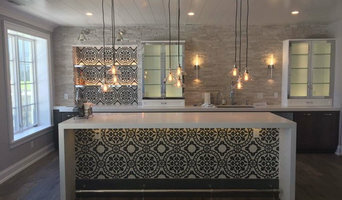 Foremost Electric LLC is an electrical contractor that is fully committed to giving our diverse Lake Geneva clientele prompt, consistently top quality electrical work designed to meet and exceed industry standards for safety and efficiency, regardless of the size or scale of the electrical work you need done. Our personable team of fully licensed and insured in-house electricians are leading experts in residential and commercial electrical applications. Drawing on a wealth of experience and training in electrical work of all kinds, we are optimally positioned to give our Lake Geneva clientele a more complete electrical service. 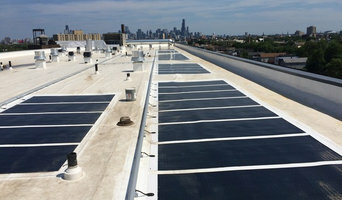 Current Electrical Contractors is a full-service electrical contracting firm providing expert residential, commercial and industrial electrical installations throughout the Chicago area and along the North Shore, including Evanston, Wilmette, Kenilworth, Winnetka, Glencoe, Highland Park, Northfield, Lake Forest, Glenview & Northbrook. We are Class A licensed and considered national experts in electrical contracting services for residential and commercial clients. Our company specializes in high quality personalized service with competitive pricing. Each of our customers are treated like friends and family and we pride ourselves on the positive feedback each and every day. T&D Electrical LLC electric company provides leading and well-grounded electric services here in Chicago. In the sea of electrical contractors today, we are confident to offer you our leading and award-winning service that stands out. Our company has received the Angie’s List Super Service Award for 2016. Our technicians are considered the best in their class. If you are looking for an expert to get things done for you, we are your licensed electrician in Chicago and are here for you. For both residential and commercial properties, we offer our remarkable service with the competitive pricing. For all your electrical and generator needs since 1994. Welcome WAB Electric, Inc., your Chicagoland and Chicago electrical contractor web site. Need to contract a licensed Chicagoland or Chicago licensed electirian? Look no further! WAB Electric, Inc. has affordable electrical solutions for your home or business. Just give a call! WAB Electric, Inc. and his owner Witold Kotlarski has been providing electrical solutions to home owners and small businesses in northwest Chicago suburbs and the City of Chicago since 2000. We are fully licensed and insured! We render Chicago licensed electrical services to new construction and remodeling that include electrical wiring and cable installation compliant with your city code, electric devices installation, electrical repair and maintenance, electrical service upgrades in all Chicago suburbs, electrical inspection. Over a period of twenty years, the companies grew dramatically into one of the most highly respected companies of its kind, with a strong niche serving the security and communication needs of the entire jewelry industry. By partnering with each client, Metronet provided customized service specifically tailored to their individual needs. In 2007, in order to focus on the highly specialized field of integrated system design and provide the very best results for their clients, the partners sold their security interests to Sentry Security Inc. and founded Metronet Integration, Inc. The company no longer operates under the name of Metronet Safe & Sound. Metronet Integration continues to gain recognition by individuals, corporations and institutions who are seeking top quality systems and service. Our strength is in designing high performance systems that combine the most sophisticated technology available with user-friendly control. Metronet is a licensed electrical contractor and a long term member of CEDIA (Custom Electronic Design & Installation Association). 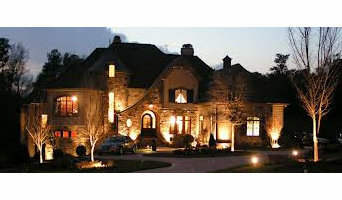 B&Z Electrical Contractor's, Inc. is a full service electrical contractor. When you are looking for the absolute best in electrical services... look no further! B&Z Electrical Contractors, Inc. has built a business on providing uncompromising quality and exceptional customer service at a competitive price. We are a full service electrical contractor providing you with complete and concise proposals, along with unparalleled quality workmanship. We provide every client with punctual, first-rate workmanship. From your wiring to your lights, we can maintain many portions of your electrical system to your satisfaction. Our licensed professionals have 20 years of experience in servicing both large, commercial systems and small, residential ones. No matter the scope of your job, we'll complete it on time and within budget. Entrusting the electrical wiring of your home or business to a low voltage contractor is not a decision made lightly. Rely on Star Electrical Inc to assess, diagnose and repair all your electrical needs, provide maintenance to any electrical system, conduct inspections and provide documentation to ensure your home or business is in compliance with regulatory codes for Glenview. The beginnings of our history date back to the 1930’s, when John Heskin began learning the electrical trade in Ireland. By 1941, he was a professional electrician in Belfast for Harland & Wolf. Those were the same shipwrights who built the Titanic, though at the time they were working for the British Navy. Fifteen years after that, Heskin started an electrical contracting company here in Chicago. Our company has deep, deep roots in the community, stretching back many decades. Our knowledgeable technicians can find and fix problems the first time. Above all else, we approach every job with the intention of building a lifelong relationship with our customers. We know that you have your own concerns to deal with, and your own needs that evolve with time and circumstances. That’s why we’re determined to satisfy your HVAC and electrical needs no matter what. As a licensed electrical and HVAC contractor, we can handle a much wider range of services than the average HVAC company. We’re also a certified Building Performance Institute Building Analyst Professional company, which means we’re capable of evaluating the effectiveness of a home or building’s insulation. Our goal is to find the best solution for your HVAC and energy needs. As part of our electrical services, we offer a full range of lighting services. While that may not sound like much, you’d be surprised how important a good lighting situation is. Far from being as simple as providing proper illumination (which is nevertheless important), lighting can be used to provide both security and aesthetic appeal. In 1989, one of our founder’s lighting design was accepted to illuminate the exterior of the Holy Name Cathedral. Whether it’s your home or business, we can find the perfect set of lighting for your needs. Commercial buildings need professional electrical and HVAC services as much as residential ones do. More so, in fact, thanks to the amount of people the average commercial building serves on a daily basis. That’s why we offer a full range of commercial HVAC and electrical services throughout Chicago. We also offer comprehensive commercial indoor air quality services. The air in the average building is absolutely teeming with airborne contaminants, like dust and germs. These can cause a wide range of health problems over time. If you want to breathe more easily, and be healthier overall, you should take advantage of our indoor air quality services.